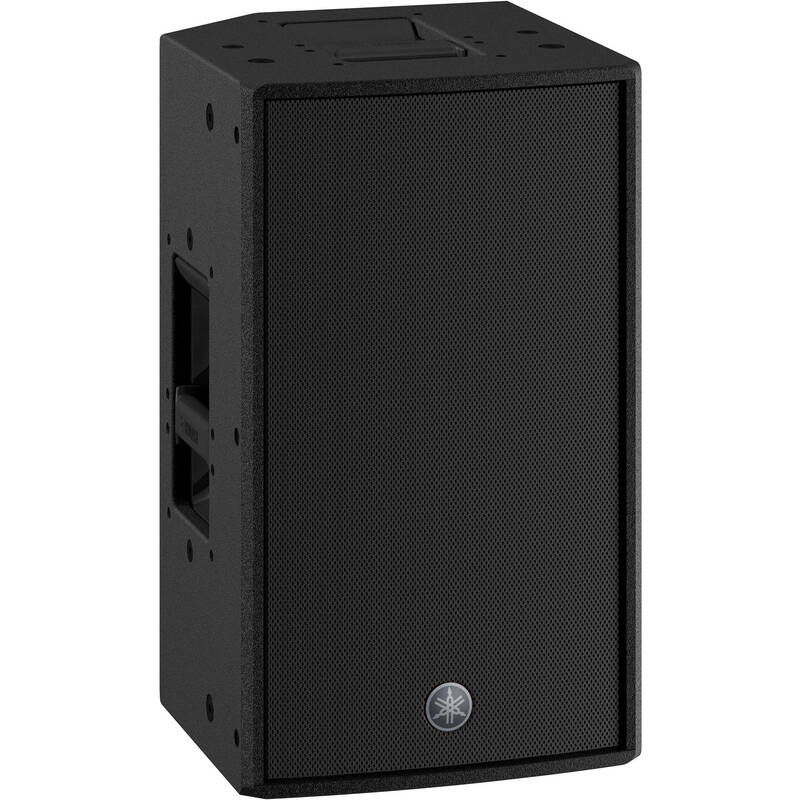 LF: 10" and HF: 2"
The Yamaha DZR10-D is a Dante-equipped, 2-way powered loudspeaker designed for main/FOH and floor monitor applications. The 2000W Class-D bi-amp powers the 10" woofer and 2" compression driver, which combine to provide a frequency range of 44 Hz to 20 kHz (-10 dB) with a maximum SPL of 137 dB. The rotatable horn allows for vertical or horizontal mounting to further adapt the acoustic dimensions of a venue. The constant directivity horn was designed with the goal of providing smooth, level coverage across the intended coverage area, minimizing roll-off that is common in conventional horn designs. The on-board 96 kHz DSP processor utilizes Advanced FIR filters for the crossover network and corrective EQ. With the FIR filters, the DZR10-D is able to produce a smooth frequency response for remarkable clarity and sound imaging without phase distortion. The onboard LCD screen allows users to easily navigate the variety of DSP functions, load presets, and adjust PEQ, delay, and routing. The D-CONTOUR is an intelligent multi-band compressor that ensures the DZR10-D's sound stays consistent and clear no matter how hard you drive them. 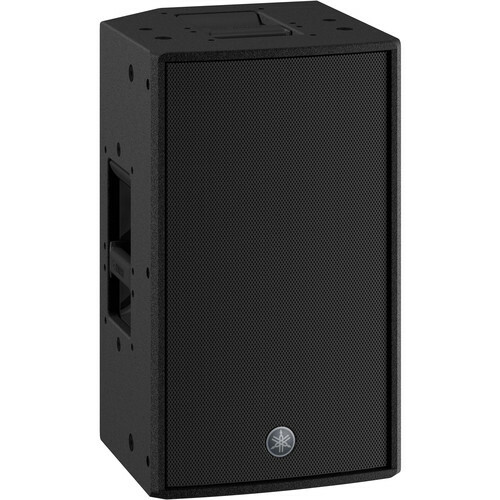 The FOH/Main mode boosts the lower frequencies to compensate for low-end that is typically lost when flying speakers, while the Monitor mode is optimized for floor monitoring application by taming problematic low frequencies that can be enhanced by floor reflection, and smoothing a wide range of frequencies to deliver the clarity professionals demand from their stage monitors. The rear panel offers two combo XLR-1/4" inputs with XLR thru/outputs and dedicated level controls. A USB port allows for system upgrades and preset configuration and backups. The DZR10-D is equipped with an additional panel with two etherCON connectors (2-in/2-out) for interfacing with other Dante compatible equipment such as other speakers and Yamaha's CL/QL/TF digital mixing consoles. The Yamaha DZR10-D ships with a standard IEC power cord.